4 storey period building comprised of retail units and 11 privately owned apartments. 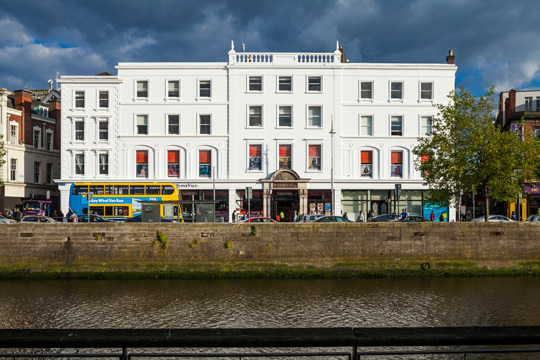 14-18 Aston Quay occupies a pivotal position fronting onto Aston Quay and the River Liffey right in the heart of Dublin City Centre. The property comprises of a high profile four storey over basement period building extending to approx. 3,040 sq m. There are three high profile retail unit at ground floor level, and a fitness centre located, part at basement level, and part at first floor level. The basement contains a swimming pool which is part of the fitness centre. The second and third floors consist of 11 privately owned apartments.